In February, an Ethiopian Prime Minister, for the first time, resigned, throwing into confusion a coalition that had ruled the country with an iron fist for more than two decades. 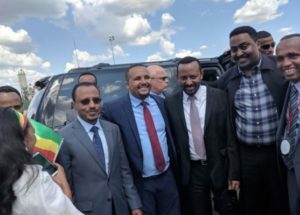 This signaled the beginning of the end of authoritarianism and a political system dominated by the TPLF, the pioneers of ethno-nationalism.Now, Ethiopian politics is trying to strike a balance in the raging struggle between ethno-nationalists and patriotic unionists. The opinions are the author’s and are no reflection of the views of the website. However, Ethiopia Insight is responsible for factual errors.